It’s no secret that Feedburner is going away pretty soon, even if it doesn’t, Feedburner is very outdated. What would happen if you lose all your Feedburner subscribers? or when they integrate it into Blogger Blogspot only? Don’t wait for a Google “Spring Cleaning” announcement, you should move to other alternative. Unfortunately, there are no free services unless you have a very small subscriber base. Having said that, most of the ‘complete list’ found online consist of AWeber or MailChimps. 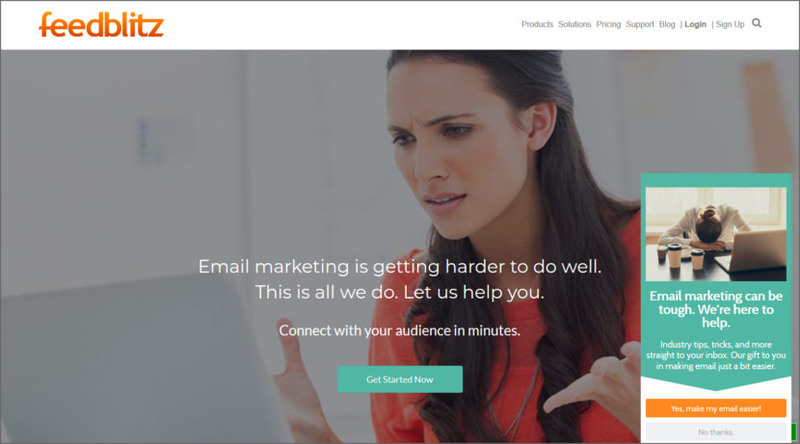 They are not newsletter services like FeedBurner, they are email marketing tools. FeedBurner is a RSS newsletter feed, below is the real complete list of FeedBurner alternatives. Some do offer free services with limited features, they are compatible with WordPress. Subscriptions require no special magic to activate. Once you activate Jetpack on your site, Subscriptions will be activated by default. Once Subscriptions are visible on your site, visitors can choose to subscribe to new posts, and/or to subscribe to new comments on a post they’ve commented on so they can stay involved in the conversation. 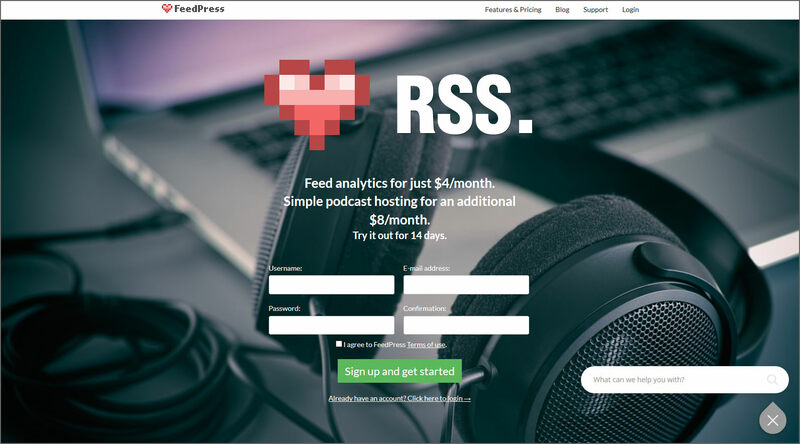 FeedPress handles the RSS Feed of your website, blog or Podcast and offers advanced statistics about your feed’s subscribers as well as the ability to offer Newsletter subscriptions. You can automatically publish your new entries on your social networks accounts like Twitter, Facebook, App.net. & easily migrate from FeedBurner without losing subscribers. Advanced tracking for bloggers and podcasters – Whether you have a blog or podcast, you will be able to track how many people subscribe to your feed as well as keep tabs on individual podcast downloads. FeedPress has your back with detailed and accurate tracking. Simple podcast hosting – With 400MB of new monthly storage, you can conveniently and easily upload your podcasts to FeedPress. Copy the link and include it in your blog post. Podcast networks are welcome too; add all of your feeds and manage them in one account. RSS to Email newsletters – Free for 1000 subscribers or fewer. Enable our newsletter feature and grab our signup form code to include it on your own webpage. Need more email sends? Our flat rate pricing starts at just $15 for 100,000 sends. Feedity is a web-based service that enables users to easily create an RSS feed from any website for consumption on any platform. 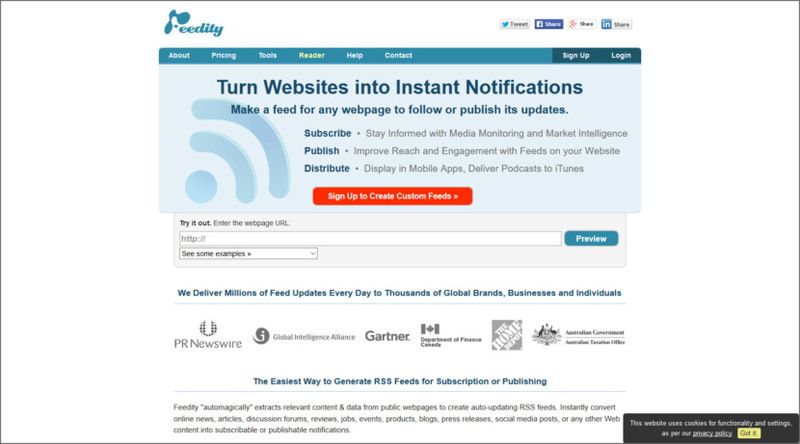 Feedity “automagically” extracts relevant content & data from public webpages to create auto-updating RSS feeds. Instantly convert online news, articles, discussion forums, reviews, jobs, events, products, blogs, press releases, social media posts, or any other Web content into subscribable or publishable notifications. 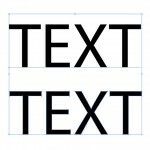 Simplified Subscription – Convert any webpage to a feed. Monitor webpages with frequently-updated information like news, articles, jobs, press releases, products etc. by creating auto-updating feeds for them. Follow Web content that interests you, or use for market intelligence, competitive intelligence or data integration. Publish Once, Reach Many – Quickly build feeds for your website to improve its readership reach, visitor engagement and search engine rankings. You can also make feeds from relevant public websites and display them in a 3rd-party portal or CMS like WordPress etc. Multi-Channel Distribution – Keep your users informed and engaged. 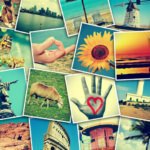 Post your feeds to social media networks like Facebook, Twitter, LinkedIn etc. Generate feeds for your audio or video podcasts, and deliver them to iTunes. Easily embed the feeds in your mobile apps for iPhone/iOS, Android or any other device. Feedio is a powerful web-based service for bloggers. 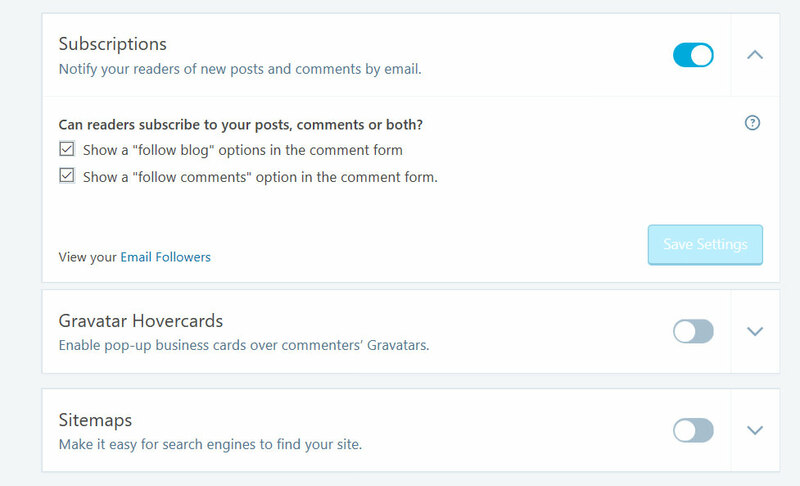 Feedio provides bloggers with RSS-to-email so they can automatically send their new posts to their email subscribers. 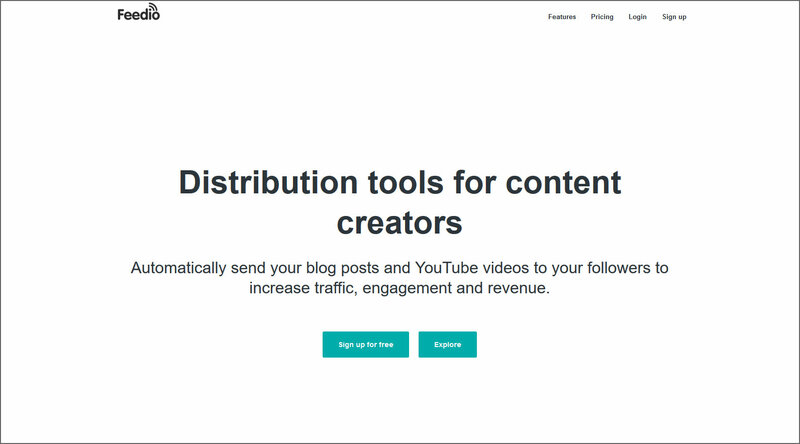 Automatically send your blog posts and YouTube videos to your followers to increase traffic, engagement and revenue. 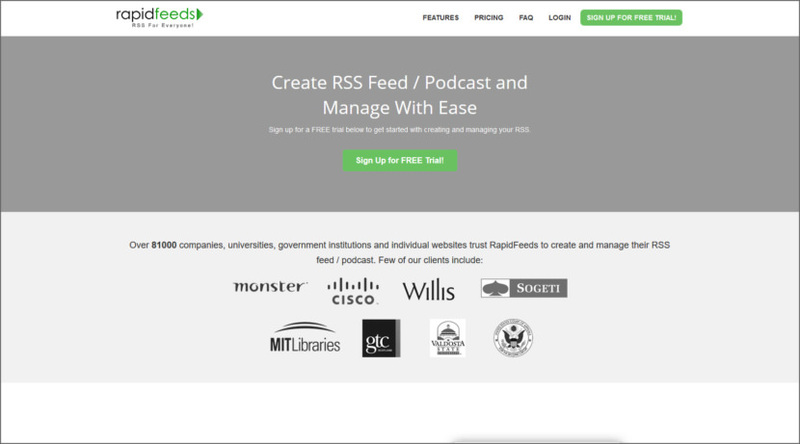 Create RSS feeds and display RSS feeds on your website with FREE and simple online RSS service. Also Publish podcasting feeds, Track RSS feeds, Import Existing RSS feeds and much much more! Whether you are using RSS to broadcast your content to your users, or keeping your team up to date with internal news; you’ll find RapidFeeds’ FeedManager to be the best assistant you can have to take care of all your RSS feeds creation and management needs. Branded Feed URLs – Use your own domain for your RSS feed URL. Virtually serves your feeds from your own domain to enhance your brand experience for your users. Quick and Easy setup. Advanced Statistics – Track RSS feed performance with smart metrics for your RSS feeds including daily and montlhy stats, Geographical distribution, User-Agent stats, Item Click-Through details and more! Auto Tweet your Feed Updates – Automate Twitter Timeline posting to reflect your RSS Feed updates. With this one-time, one-click setup your Twitter Timeline is updated instantly everytime you add a new item or podcast to your RSS Feeds. Schedule your RSS Feed Updates – Automate RSS Feed publishing by scheduling RSS Feed updates – in your own Time Zone. With a single click! Password protect RSS Feeds – Secure your private and commercial RSS Feeds with a password, instantly. FeedBlitz is the leading independent provider of RSS and blog email marketing, newsletter and subscription services. 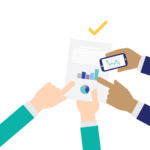 Easy enough for a blogger to set up in seconds, powerful enough for sophisticated corporate email campaigns, FeedBlitz is smart enough to reach email and social media netowrks with excellent deliverability. Visit feedblitz.com for a free trial. 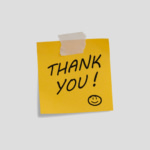 Thanks so much for including Feedio in your list Ngan, both my co-founder and I really appreciate it.